In 2006, Microsoft added built-in security software to Windows for the first time. 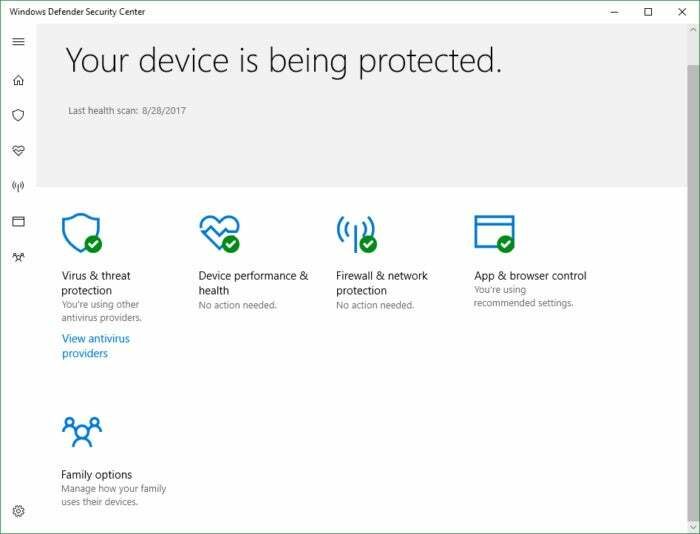 Since then, it's appeared under various names, but currently it's known as Windows Defender Security Center (WDSC). What started out as a basic antivirus detection feature has slowly grown into something that resembles a security suite. It doesn't have anything close to the features you'd see in a third-party suite, but it does a fair job at antivirus and malware scanning. Note: This review is part of our best antivirus of 2017 roundup. Go there for details about competing products and how we tested them. Briefly, however, WDSC has five sections: Virus & threat protection, Device performance & health, Firewall & network protection, App & browser control, and Family options. The crucial section is Virus & threat protection. This is where you can manually start a full scan, enable real-time protection, or carry out an offline scan for removing particularly nasty bits of malware. Device performance & health, meanwhile, just gives your PC a general health report card including Windows Update status, driver status, and so on. It does not report on any potential security weaknesses, short of lagging updates. 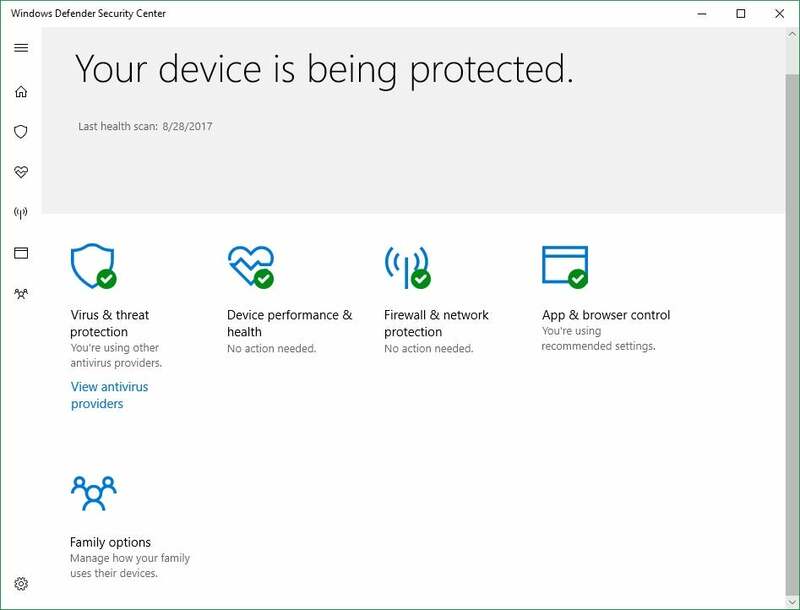 Firewall & network protection is fairly self-explanatory, while App & browser control houses all of your PC's SmartScreen settings for Edge, downloads, and the Windows Store. You can dive a little deeper into WDSC beyond this, but not by much. If I had to guess, Microsoft plans to expand its functionality over time, and right now we're just seeing the basic scaffolding being built. That's just speculation, however. 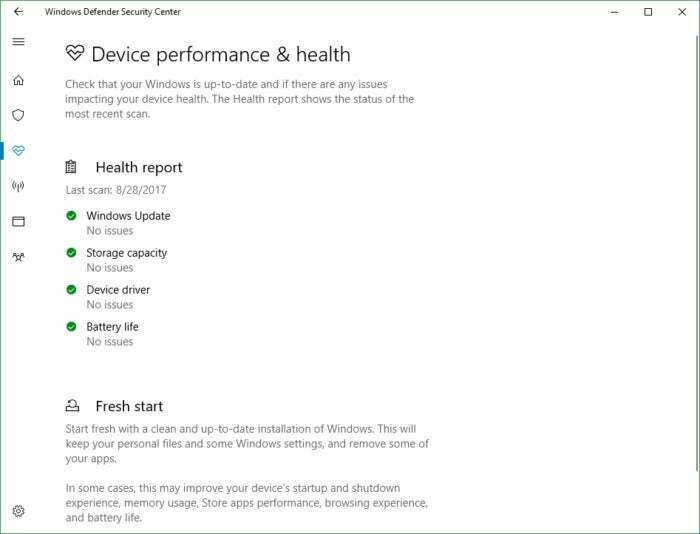 Windows Defender's device performance and health report. 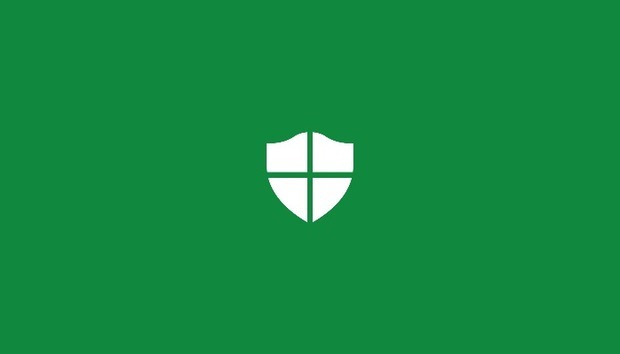 Windows Defender stacks up alright in anti-virus detection. A-V Test gave Defender a 99 percent detection rate for real-world testing against 0-day, web, and email threats. For run-of-the-mill malware, meanwhile, Defender scored very highly against more than 10,000 samples at 99.7 percent detection. A-V Comparatives found a similarly high performance level for real-world protection, with about 9 false positives out of 329 test samples. SE Labs, for its part, gave Defender a AA overall rating in the period of April through June. (The highest that an antivirus can score with SE Labs is a AAA rating.) During its testing, Defender failed to protect against six targeted attacks and four web-based attacks. As for the drain on your PC's resources, that's a little harder to measure than with third-party software. WDSC is built right into the operating system and starts up automatically. To counteract that, we turned off the entirety of Windows Defender (both the scanning tool and the overall program) using the registry. Then we fired up our first benchmark: PCMark 8's Work Conventional benchmark, which simulates everyday tasks like video chatting, web browsing, and word processing, and recorded the score. Afterward, we switched WDSC back on and started a full system scan before running PCMark 8 again. The results fell in line with the best third-party options: Windows Defender had no real effect on performance. Running Windows 10 with Defender off garnered a PCMark score of 2498. Once it was back on, the score went up to 2516—right within the margin of error for PCMark 8 results. That story also held true in our Handbrake performance benchmark, which puts far more strain on system resources. With Windows Defender turned off, we were able to transcode a 3.8GB MKV file on the Android Tablet preset in one hour, 14 minutes, and 21 seconds. With Windows Defender turned on, it took one hour, 15 minutes, and 30 seconds. That difference is so small that it's insignificant. Windows Defender is a fine basic security solution. For advanced users who are hyper-aware about all the various threats out there, this free option might be enough if they also periodically scan their systems with something like the free version of Malwarebytes. The average user, however, should look for a more feature-rich third-party solution.